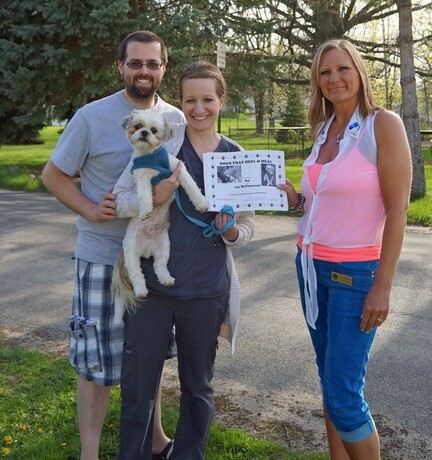 Pictured above, Ike, a Shitzu, is a rescue pup who passed his AKC Star Puppy Course in Lisa Freeman's spring class. Now he's going on weekly group Pet Therapy training visits with Lisa and numerous others. He was in a kill shelter, but became a therapy animal. See what dog adoption can do! Adopt today! Pictured Below are Debby & her rescue "Pepper Ann". No one would work with, rescue dog, Pepper and her owner, Debby who suffers with Agoraphobia (fear of leaving the house and being around people). 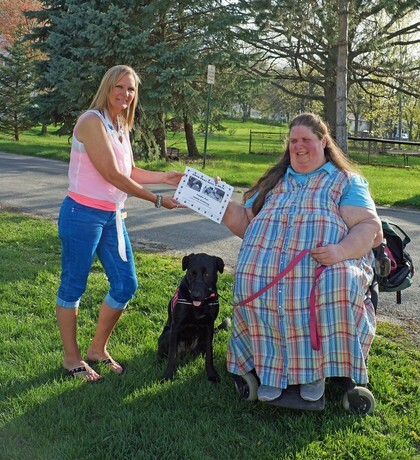 She called Lisa in desperation knowing she needed a service dog trained for her condition. Although Lisa had never trained service dogs before, she knew what it was like to have extreme panic attaacks and agoraphobia. So she was filled with a great love and compassion, and began working with the pair immediately. 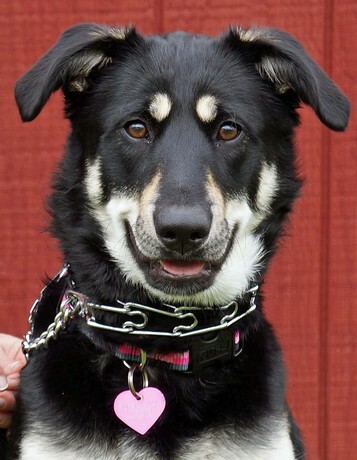 The training went so well, they recently passed the AKC Canine Good Citizen Test and now Debby is able to go out into the community around groups of people without fear.